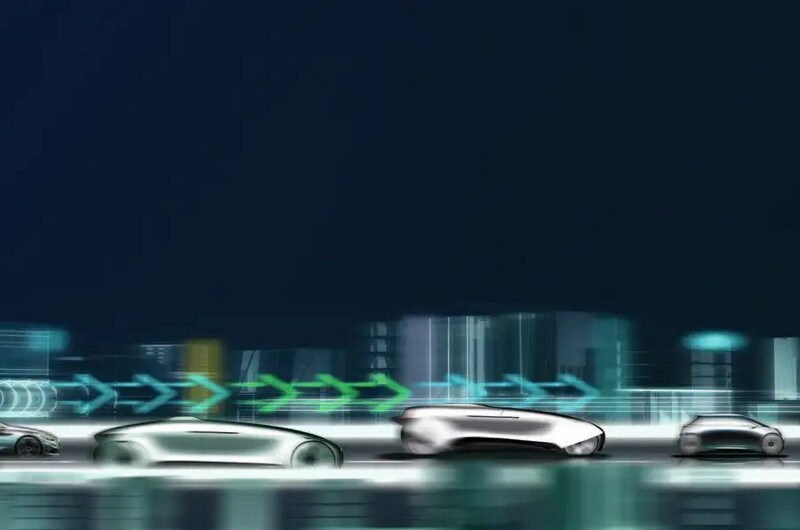 Autonomy, digitalisation, electrification and connected cars are no longer fashionable buzzwords looking to a brighter future. Today, aspects of all three are already present on our roads, from cruise control functions that read the road ahead and adjust your speed, through to the self-driving Tesla Autopilot and Mercedes Driver Assist functions that are already on stream. These are technological breakthroughs with far-reaching consequences; they are the result of the march of time and advances in understanding, and they are statesponsored because of the promise of fewer road injuries and accidents. 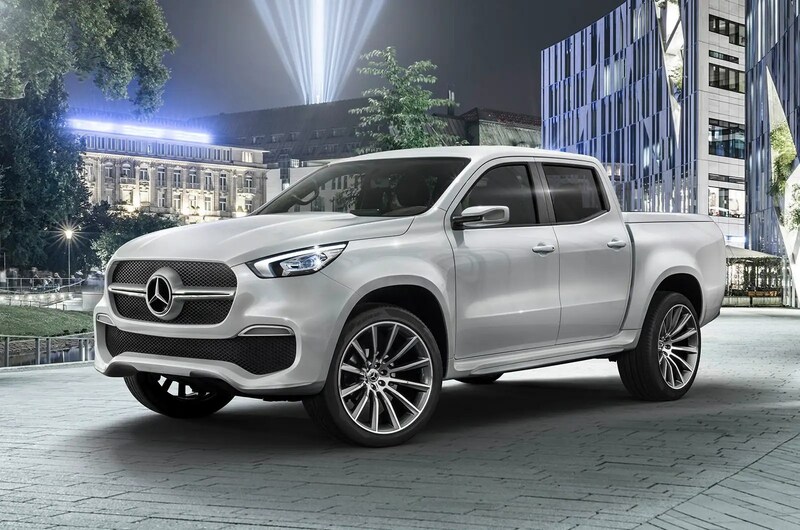 They are an inevitability that will, in the words of Mercedes CEO Dieter Zetsche, prompt a profound change to cars “as radical as the industry has seen in its 120 years of existence”. At the heart of this pivotal moment in time stands a generation of car designers with an entirely new rule book at their fingertips. But what does that rule book look like and how radically different is it? Autocar polled leading designers from around the automotive industry to hear their views. 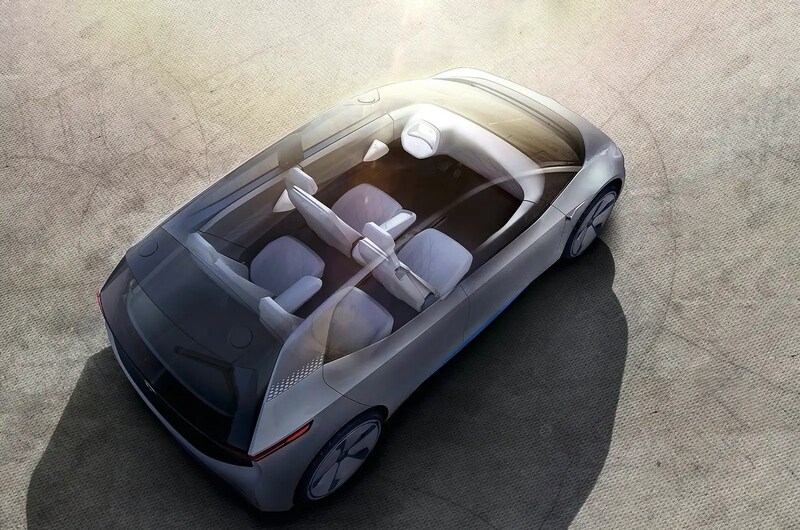 “The mobility world of tomorrow gives us designers entirely new creative possibilities. 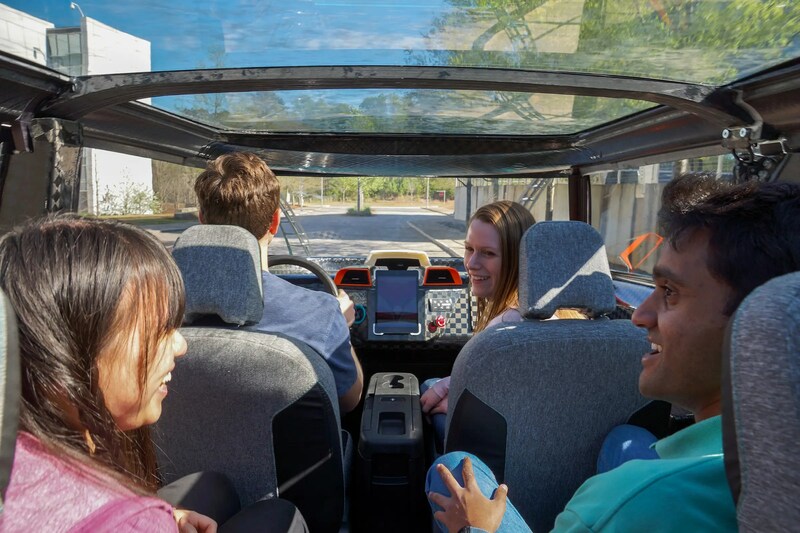 Electric drives and autonomous driving remove any obstacles and change design more radically than has been the case in recent decades. “Cars may go through a phase of looking similar, but in the long run I think further advancement of technologies will then enable us to have more freedom in shaping unique designs, just as they did in the past. “With the complete change of powertrains, the layout will become more flexible. We will no longer need an extended bonnet or bootlid. If we only pursue efficiency, I think the overall design of cars will become boxier and mono-volume orientated. “Look at how much design has changed this company in the past three years. We’ve made the transition from an old luxury company to a modern luxury company, simply through design. Looking to the future with the challenges to come — digitisation, electrification — I think designers are the people to envision it. “The first thing to say is that there’s never been a better time to be a designer. Technology means engineers can do things they couldn’t five years ago and that has opened up all sorts of avenues. Marketeers have realised that in a world of no really bad cars, design is what makes the difference. “We can write our own future — and I don’t see car sharing taking that away. People will still care what their car looks like. People won’t want to be in a vehicle that looks like a trash can, and besides, most people won’t want to share a car. It’s something personal; it would be like sharing your cat. “Consumers’ values will become increasingly diverse, and consumers will become increasingly confident in their ability to choose without following mainstream trends. Acceptance of new, radical design and non-traditional hierarchies will result, and that may signal the end of mass trends in design as people seek new methods of self-expression. “Size will no longer define the automotive hierarchy and branding strategies will have to change. The paradigm shift from gasoline to electric will not happen overnight; they will co-exist, resulting in each finding its own speciality. 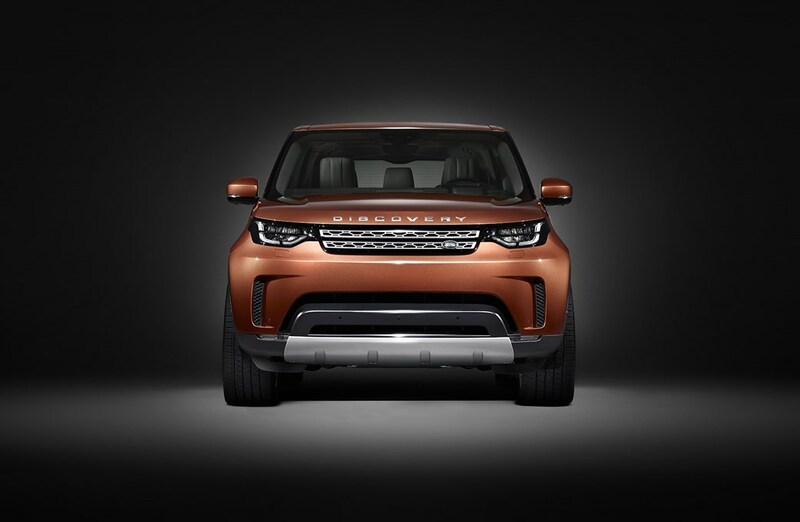 Choice will depend on lifestyle and the ‘allrounder’ car of today will be replaced by more specific designs, with the different experiences being offered becoming the brand differentiator. “There’s more design to do because it’s more complicated. So much more goes into everything. When I started we chose between a 5.0in round headlight or a 7.0in headlight. Now we’ve got around 35 people on headlights, because there are around 50 different parts. “I don’t feel there is a limit to designing cars for the future. The only issue is how we walk with our customer into the future, because the customer’s appetite for change is what we must relate to. Sometimes, depending on culture, the customer can be slightly conservative. This also depends on their social situation, but sometimes they are ambitious and expect significant design changes. “I think premium customers are open to change if we provide a clear benefit to them. It’s important; if you change something significant, there must be very clear customer benefit. If there is not, the customer will reject it because they have so many good choices in the marketplace. “They’ll change too — and soon. Our philosophy is to create breathtaking designs that tell the visual story of their function, and we have an amazing bandwidth of functionality and focus coming in our products. 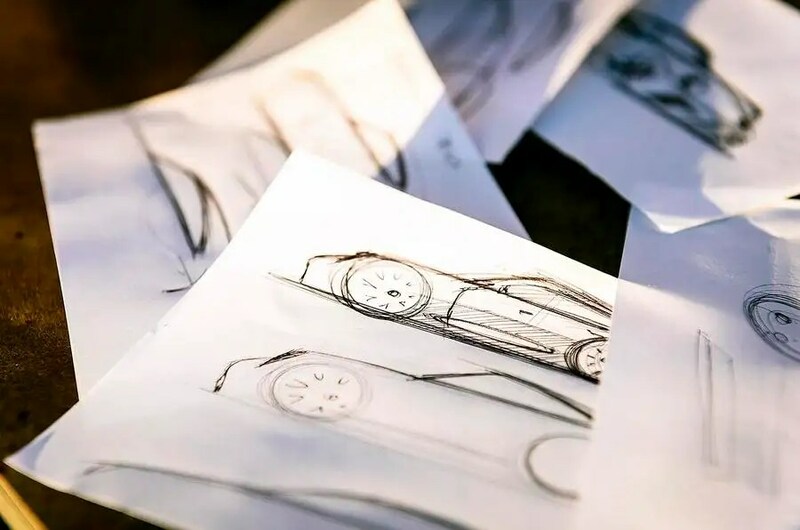 We plan to do this by using our advanced technologies, aerodynamic software and manufacturing processes to create our beautiful yet functional designs. We will continue to be brave and innovate. “Clever design will be the dominant force and will always predominate over new legislation, which is an opportunity to find new solutions and make cars even more individual. It’s an exciting challenge for the team. The freeing up of crash structures will mean improved aerodynamics, which is fantastic, and the interior space/ volume of the car will be designed to suit our vehicle’s requirements. “Maybe ‘transport boxes’ will be part of the future, but it will go one step at a time and I can say our customers want our cars because they make a statement, not just because they do a job. 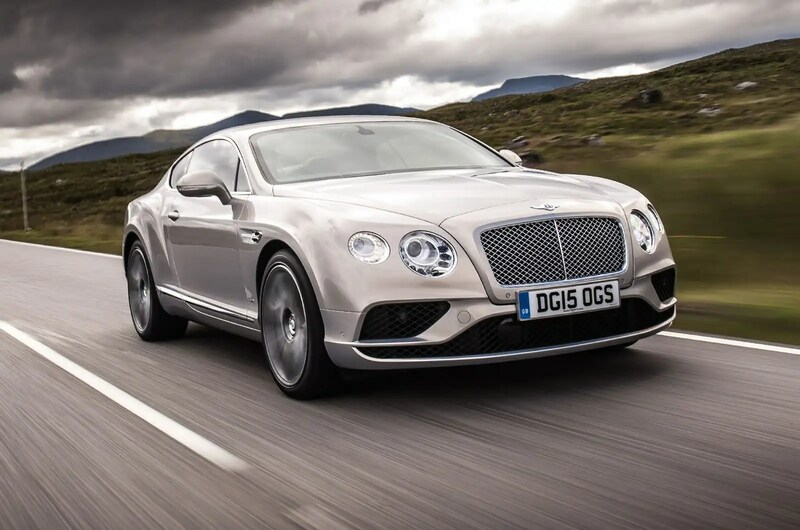 “Bentley will always follow a fusion of performance and luxury; dynamics must be part of the mixture. But even if sometimes you will want to turn the seats around and leave the control to the systems, sometimes, at the right times, our customers will want to drive. It’s a compromise we know at Bentley; for 100 years our owners have done the same, albeit with chauffeurs driving. “The question is not just about design but also technology. How will that change what we want from the interior space? And even if we give people more space, it won’t be about just opening the car up. Our customers want architecture, not just space. Dieser Eintrag wurde veröffentlicht in e-mobility und getaggt mit AI, Bentley, BMW, Ford, Infiniti, McLaren, Mercedes, Nissan, Renault, Toyota, Volkswagen am 17. November 2016 von innovation. The Paris motor show is heralded as the world’s biggest motor show, claiming more visitor footfall than any other auto show. No wonder car makers are scrambling to prepare their new car launches in time. Here we round up all the cars, world debuts and major launches at the Paris motor show. Think of it as a handy one-stop shop for everything about the Mondial de l’Automobile, including a continuously updated list of all the key cars unveiled on the day. Dieser Eintrag wurde veröffentlicht in e-mobility, Marketing und getaggt mit Audi, BMW, Citroen, Dacia, Ferrari, Honda, Hyundai, Infiniti, Kia, Land Rover, Lexus, Mercedes, Mini, Mitsubishi, Nissan, Paris motor show, Peugeot, Porsche, Renault, Seat, Skoda, Smart, Ssangyong, Suzuki, Toyota, Vauxhall, Volkswagen, VW am 29. September 2016 von innovation. BMW will electrify its regular cars – what happens to ‚i‘ models? When the BMW i3 went on sale in the U.S. back in May 2014, it marked not only the debut of the German automaker’s first mass-market electric car, but also a new sub-brand. 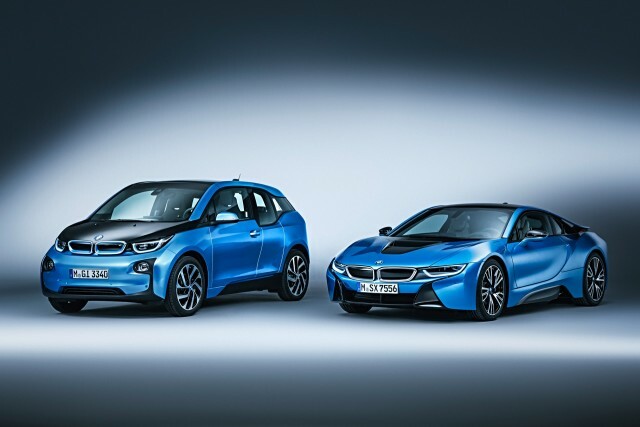 BMW originally planned to group all its electric cars under the „i“ sub-brand, which currently includes all-electric and range-extended REx versions of the i3, as well as the striking and expensive i8 plug-in hybrid coupe. But as BMW looks to expand the number of electric cars in its lineup, that strategy may soon change. The carmaker plans to offer all-electric versions of its regular models, starting with the 3-Series sedan, X4 crossover, and Mini Cooper, reports WardsAuto. The industry trade journal cites a report from the German newspaper Handelsblatt, which in turn is based on interviews with anonymous sources close to BMW chairman Harald Kruger. The decision to sell all-electric versions of the 3-Series, X4, and Mini Cooper is partially motivated by the need to compete with Tesla Motors, and to match electric-car programs of other German luxury brands, the report said. The 3-Series in particular is likely the vehicle most directly targeted by the Tesla Model 3, the 215-mile, $35,000 electric sedan unveiled by the Silicon Valley company in April. It has already been reported that an all-electric powertrain will be offered in the 3-Series—BMW’s core model—as part of a 2018 redesign. While it initially resisted the idea, BMW may also view offering electric powertrains in its regular models as a less-expensive option than adding more dedicated „i“ models. Both the i3 and i8 use carbon fiber-reinforced plastic body shells and aluminum subframes that aren’t shared with other models. This reduces the profit margin of these „i“ models compared to the rest of BMW’s lineup. 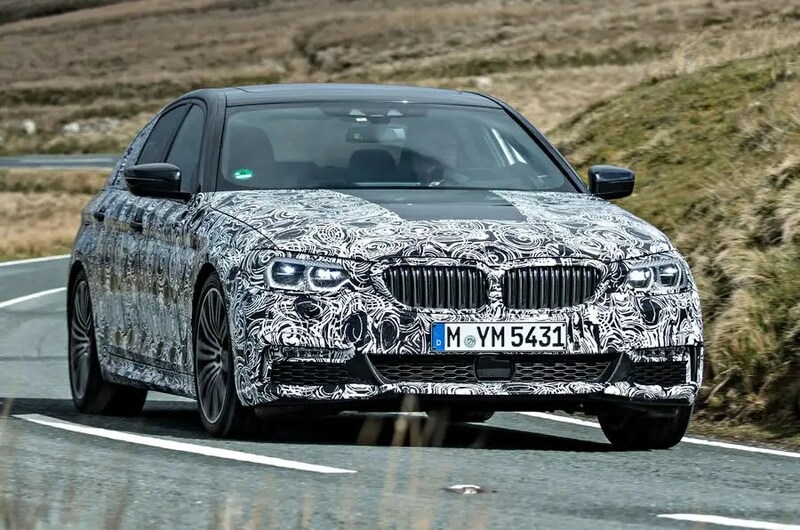 In its latest 7-Series large luxury sedan, BMW has incorporated individual structural members of carbon fiber within a largely steel structure, meaning the dedicated CFRP body shells may not be needed. To some extent, though, the move away from dedicated BMW plug-in models has already begun. In the U.S., the carmaker offers plug-in hybrid versions of the 3-Series sedan, as well as the X5 SUV, and the 7-Series sedan will follow. These models wear „i Performance“ badges, but they have nonetheless obliterated the „i“ division’s short-lived monopoly on plug-in hybrids within the BMW lineup. 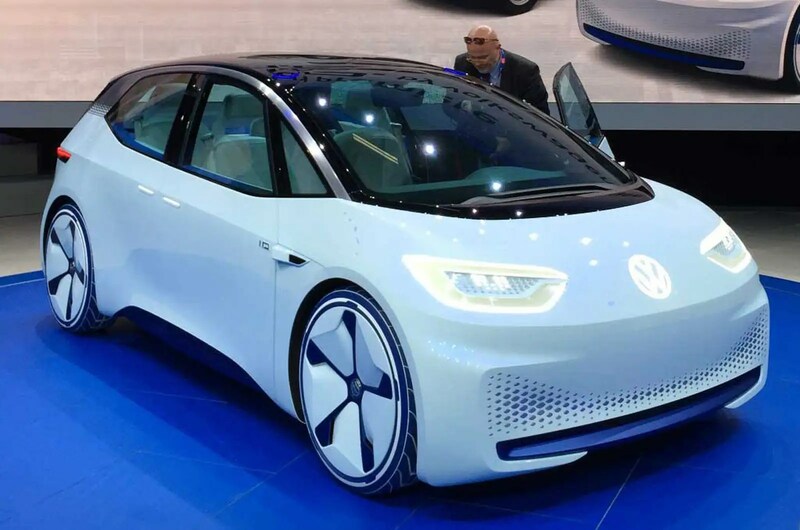 Whether there will be any further dedicated „i“ models after the i5 remains to be seen, but the shift in tactics underscores the slow spread of battery-electric powertrains across the lineups of more and more manufacturers. In other words, electric powertrainsaren’t just for special vehicles any more. Dieser Eintrag wurde veröffentlicht in e-mobility, Innovation und getaggt mit BMW, Tesla am 23. September 2016 von innovation. The 2017 BMW 5 Series has been teased in a new official video, showing it in undisguised form for the first time ahead of its unveiling next month. The uncovered car is only partially shown in the video, but the short glimpse shows the new LED tail-light design for the first time. The lights feature a similar design to those of the latest 3 Series, but they’re housed within a body that looks slightly more muscular than that of its smaller sibling. Earlier spy shots of the 2017 5 Series have shown what the model will look like in saloon and estate guises. The exterior of both bodystyles, while undoubtedly evolutionary, give the 5 Series a more aggressive demeanour. We know from our recent drive in a 2017 5 Series prototype in 530d xDrive form (pictured below) that the model is slightly larger than the outgoing car. The increases in length, width and height are small and aimed at increasing rear seat accommodation. The new car will share its body structure with the 7 Series. The structure is known internally as CLAR – ‚cluster architecture‘ – and uses more aluminium for its floorpan and bulkheads than the skeleton of the outgoing F10 5 Series. There’s also more use of aluminium for castings, helping to trim weight by as much as 100kg, despite the growth in size. 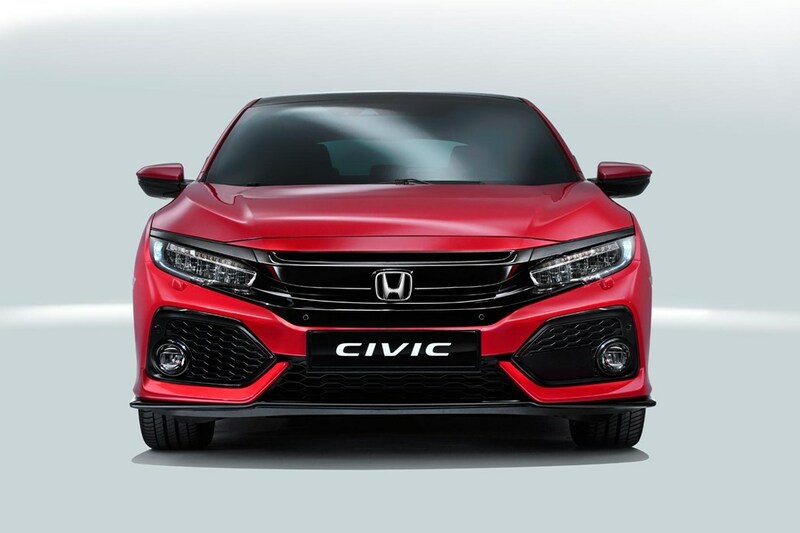 Powering the new model will be a familiar choice of turbocharged four and six-cylinder engines, with a new plug-in petrol-electric powertrain joining the ranks. Lower-powered cars will use BMW’s latest B47 diesel and B48 petrol four-cylinder units – all in 2.0-litre form, like today’s F10 model. 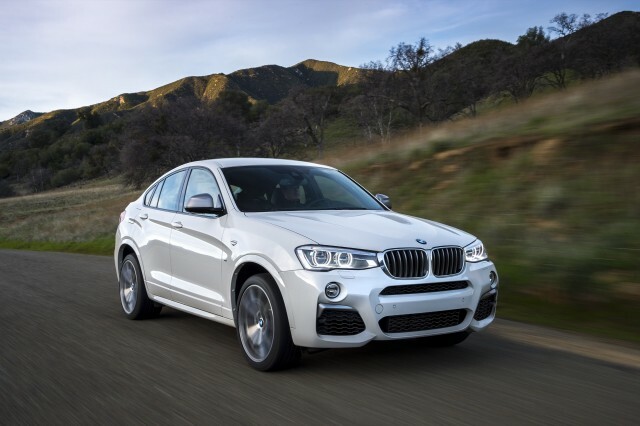 BMW’s new B57 diesel and B58 petrol six-cylinder engines will offer more power. These units use a standardised 500cc individual cylinder capacity for an overall volume of 3.0 litres. One of the diesels will gain an additional electrically driven turbo to improve low-down grunt, upping peak output towards 390bhp. The most potent non-M model will receive a newly upgraded 444bhp 4.4-litre V8 petrol engine, first seen in the 750i. The new 5 Series will also inherit hybrid technology from the 330e, 740e and X5 xDrive40e. 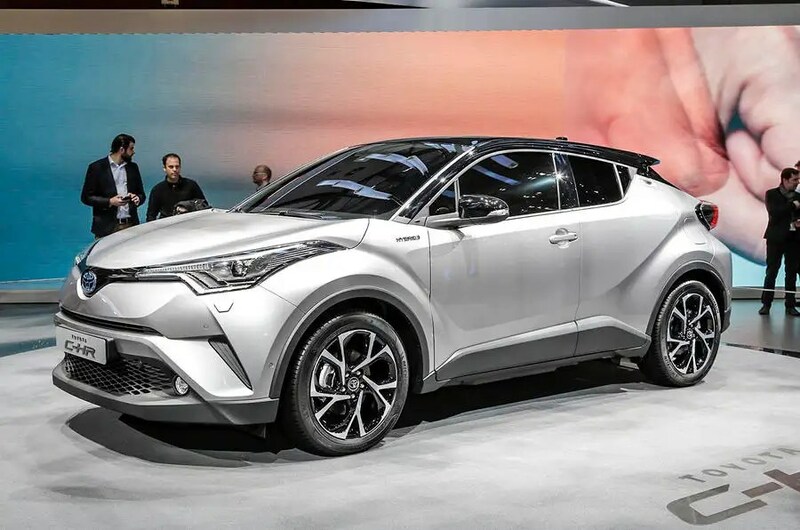 The hybrid system is made up of a 2.0-litre four-cylinder petrol engine with an electric motor mounted within the gearbox and a lithium ion battery located in the floor of the boot. The system can run in full electric model for more than 20 miles. The M5 model will use an updated version of the current car’s 4.4-litre V8 with a likely power output of more than 560bhp. The new 5 Series will be revealed in October and will go on sale next year. 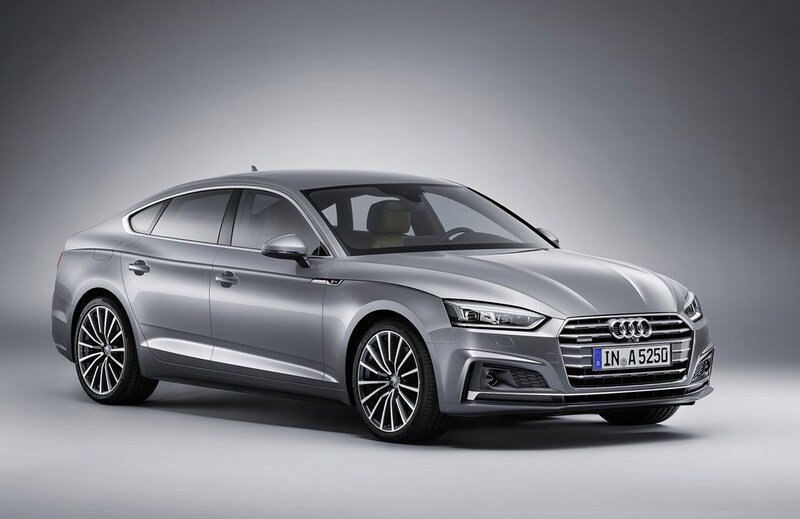 Its rivals will continue to be the Mercedes-Benz E-Class, Audi A6 and Jaguar XF. Dieser Eintrag wurde veröffentlicht in e-mobility und getaggt mit BMW am 15. September 2016 von innovation. 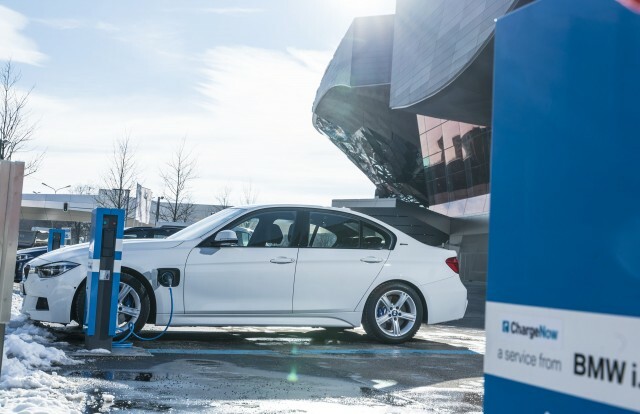 Premium automaker BMW is planning a major restructuring of its executive board and a shift in its electric mobility strategy, according to information obtained by Handelsblatt. The automaker plans to merge its marketing and sales operations for the brands Mini and BMW and replace Friedrich Eichiner as chief financial officer. Nicolas Peter, a close confidant of Chief Executive Harald Krüger, will take over the company’s finances from Mr. Eichiner. Mr. Peter currently serves as BMW’s head of sales in Europe. BMW is also planning major changes in its electric mobility strategy to keep up with U.S. rival Tesla. In addition to the fully electric “i3” models, which have been in production since 2013, BMW will also offer fully electric versions of the Mini, the BMW3 series and the X4 SUV, which is built in the United States. 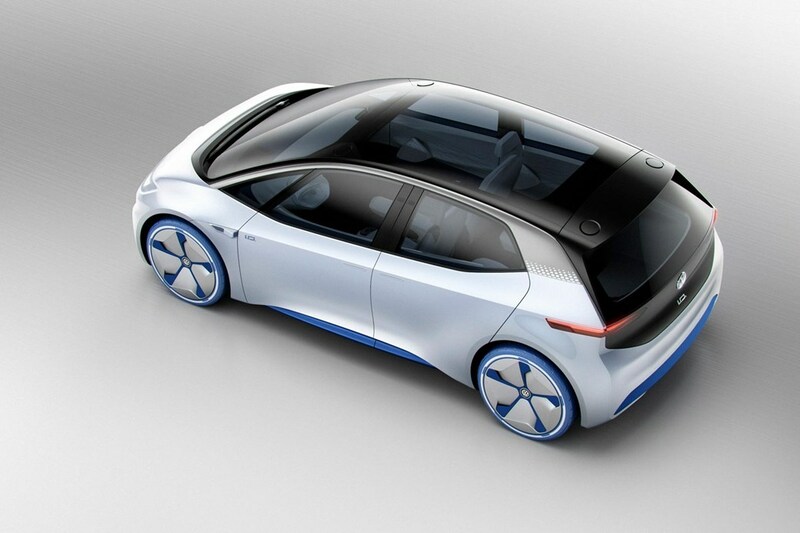 The supervisory board is expected to approve the new electric models during a two-day meeting at the end of the month. BMW faces increasingly stiff competition from Tesla in the electric car market. The U.S. e-car maker has received 400,000 pre-orders for its Model 3 sedan alone. BMW’s i3, on the other hand, has struggled with falling sales in the first half of the year. Dieser Eintrag wurde veröffentlicht in e-mobility und getaggt mit BMW am 12. September 2016 von innovation. 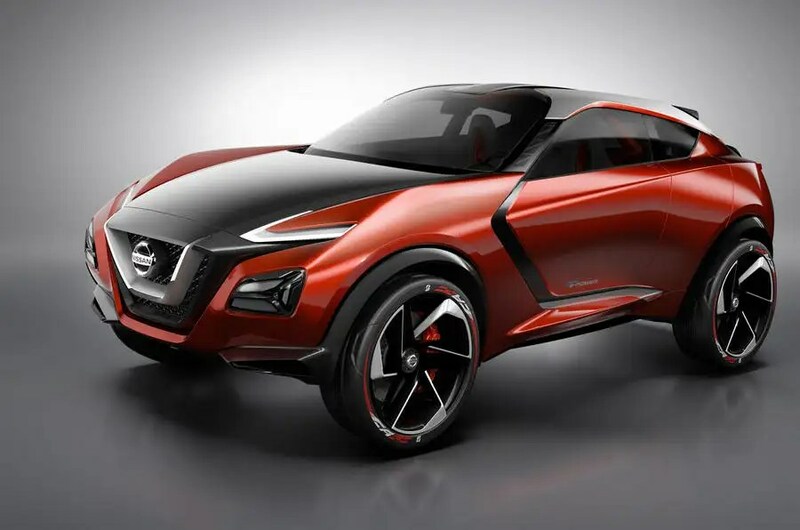 Automakers are pushing bold, innovative ideas forward with their latest concept cars. Whether it’s a car with nothing inside but a sofa and TV or an electric car resembling the Batmobile, concept cars give us a glimpse of how technology will shape the future of driving. 1. 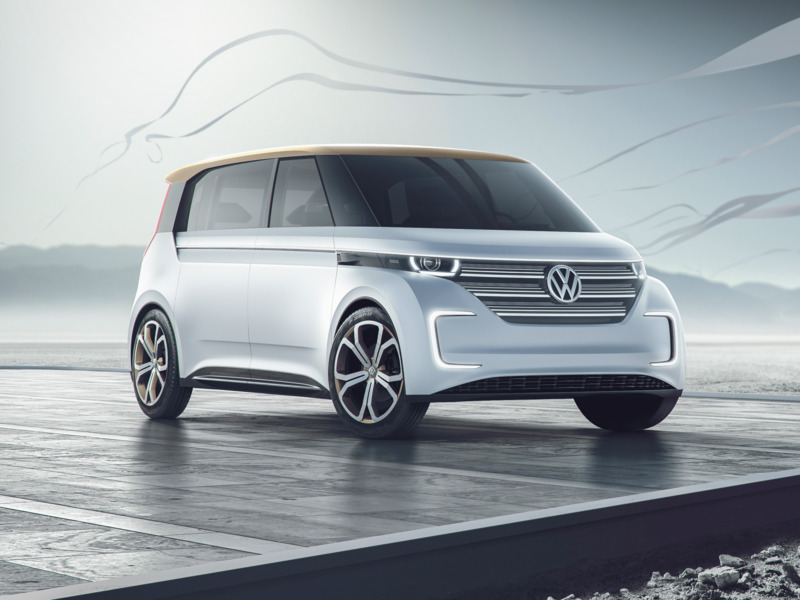 Volkswagen unveiled a microbus concept meant to give a modern spin to the classic Volkswagen bus at the Consumer Electronics Show in January. Called the BUDD-e, the electric car gets up to 373 miles of range. The doors open with a simple wave of the hand, and you can control the console’s interface by making hand gestures. You can also use the interface to control things like the temperature and lighting in your house. 2. 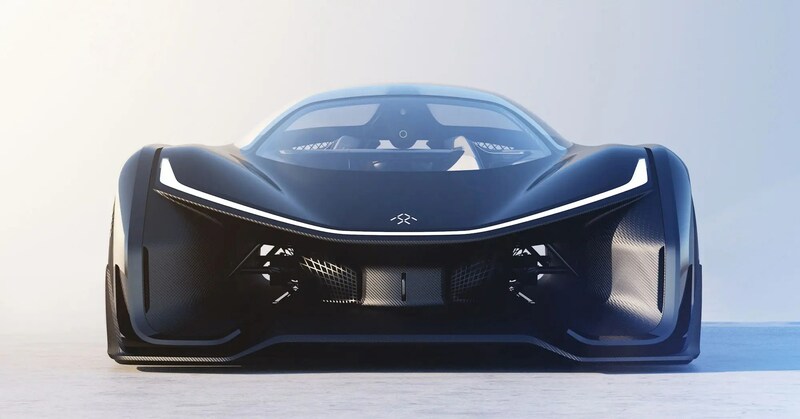 The big unveiling to come out of the Consumer Electronics Show was Faraday Future’s concept car, the FFZERO1. It can go from zero to 60 miles per hour in under three seconds. Four motors placed over each wheel give the car a top speed of 200 miles per hour. It’s also capable of learning the driver’s preferences and automatically adjusting the internal settings. 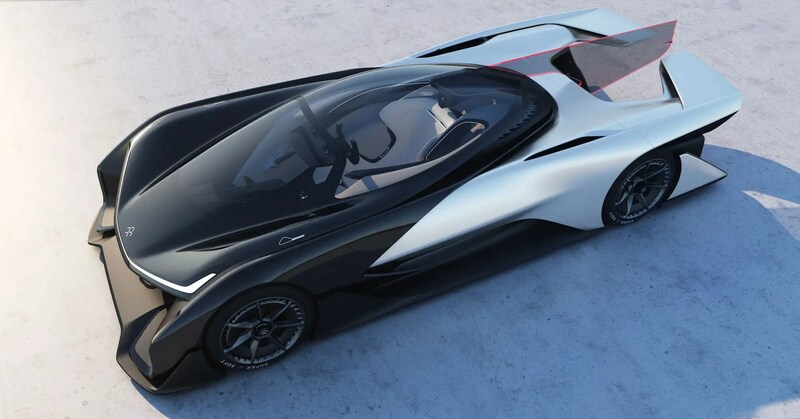 Although Faraday Future plans to release a production car in 2020, the FFZERO1 is just a show car. 3. 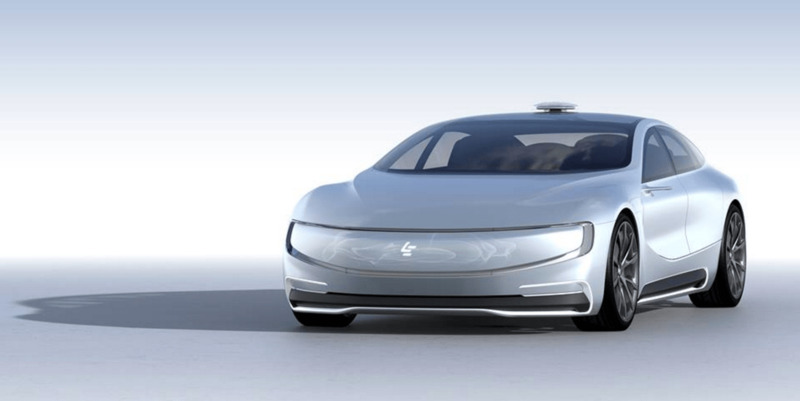 LeEco, a Chinese tech company, unveiled its Tesla killer concept car at the Consumer Electronics Show. LeEco is also partners with Faraday Future. Called the LeSEE, the car has a top speed of 130 miles per hour. It also has an autonomous mode. 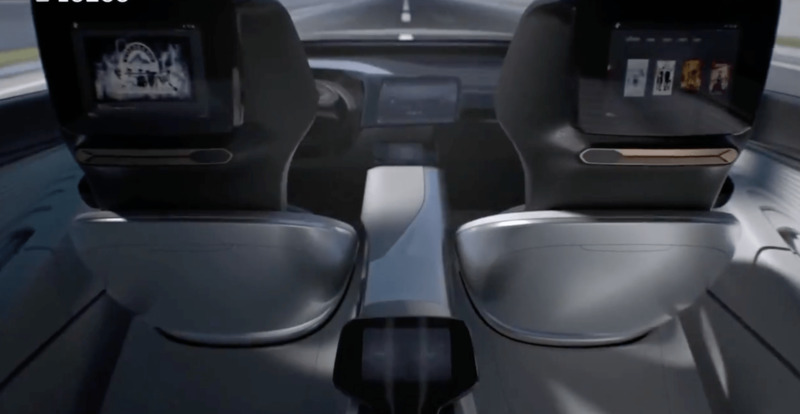 The steering wheel will retract back into the dashboard when the car is in autonomous mode. 4. 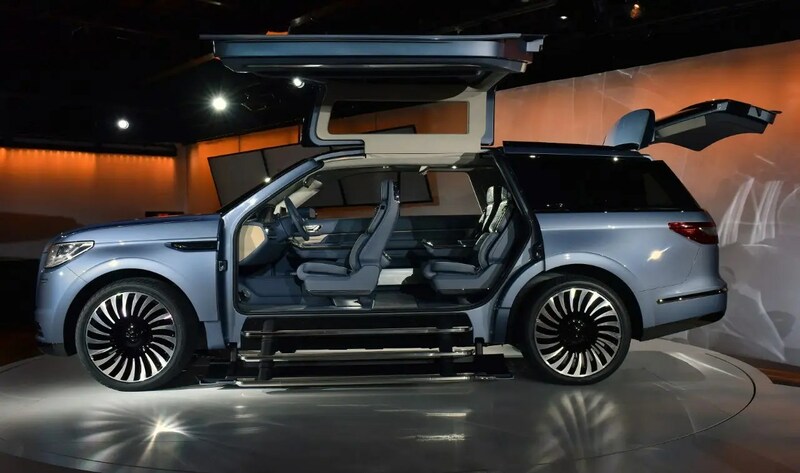 The Lincoln Navigator concept car comes with giant gullwing doors. 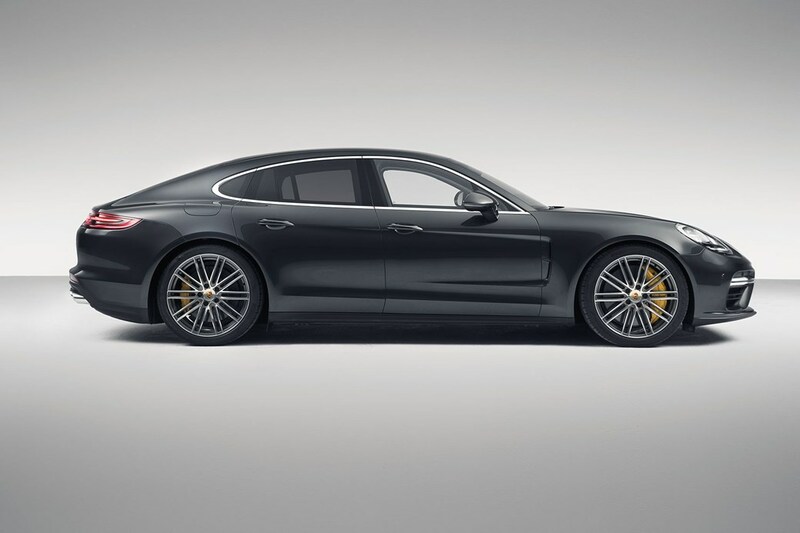 It was unveiled at the New York Auto Show in March. We won’t be seeing those doors in the production model of a Lincoln Navigator anytime soon, unfortunately. 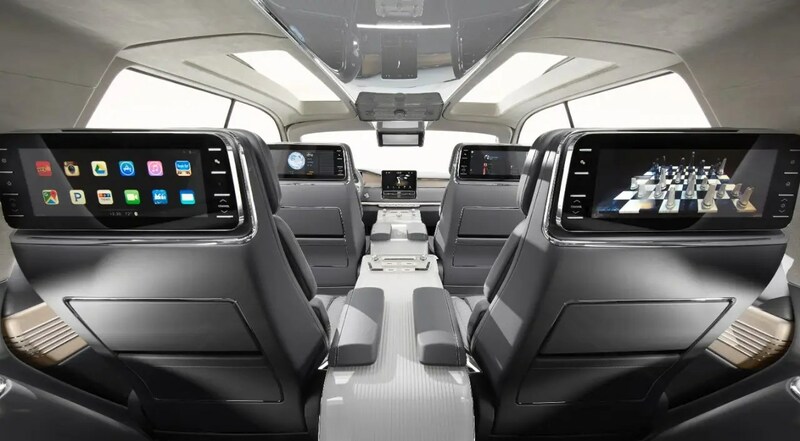 The six seats inside can be adjusted 30 different ways, and there’s entertainment consoles on the back of four seats so passengers can watch TV or play games. There’s even a built-in wardrobe management system in the trunk so you can turn your car into part walk-in closet. 5. 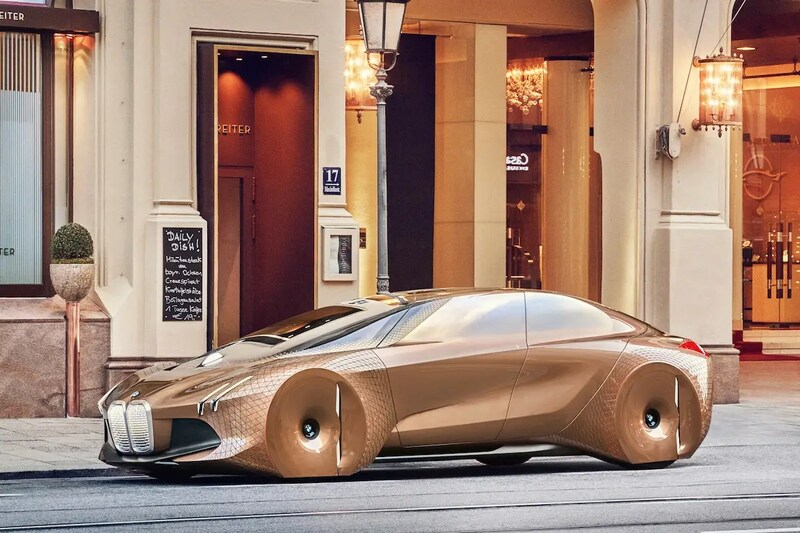 BMW’s Vision Next 100 was unveiled at the Geneva Motor Show in March. It comes with an AI system called Companion that can learn your driving preferences and adjust accordingly in advance. The side panels of the Next 100 are made of carbon fiber. The steering wheel will retract into the dashboard when the car is in autonomous mode. There’s also a heads-up display that will show information about your route on the windshield. 6. BMW added to its Vision 100 line in June. Here we see the Mini Vision Next 100 that was built for ridesharing. The car can recognize who you are when it comes to pick you up and will greet you with personalized lighting. 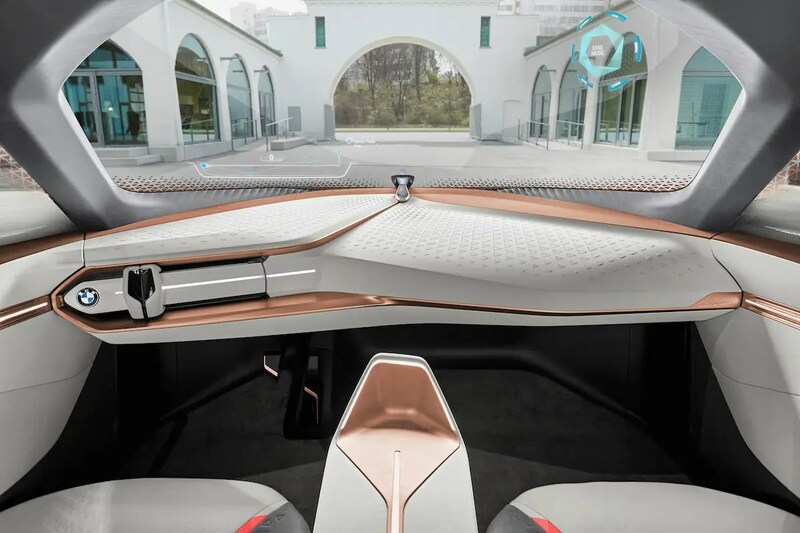 The steering wheel will shift into the center of the console when the car is in autonomous mode. The BMW also comes with a heads-up display that will show information about your route on the windshield. 7. 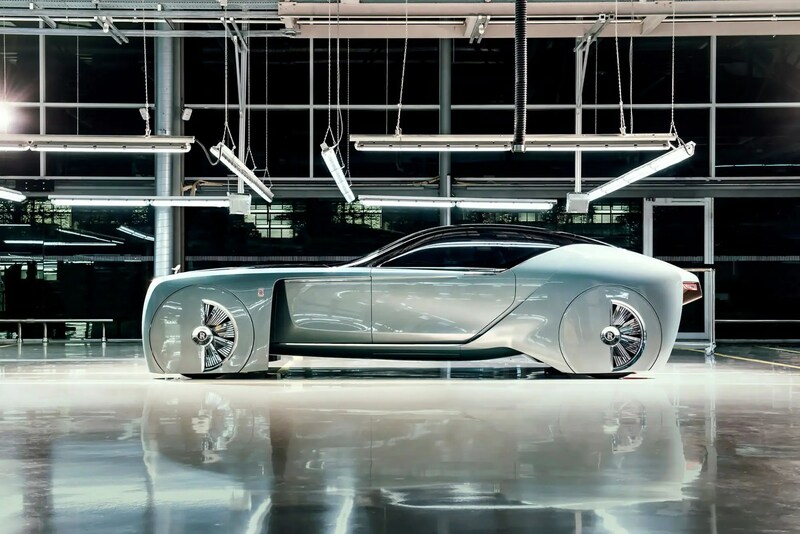 The last addition to the BMW Vision 100 line is this futuristic Rolls-Royce. The Rolls-Royce is also completely autonomous. 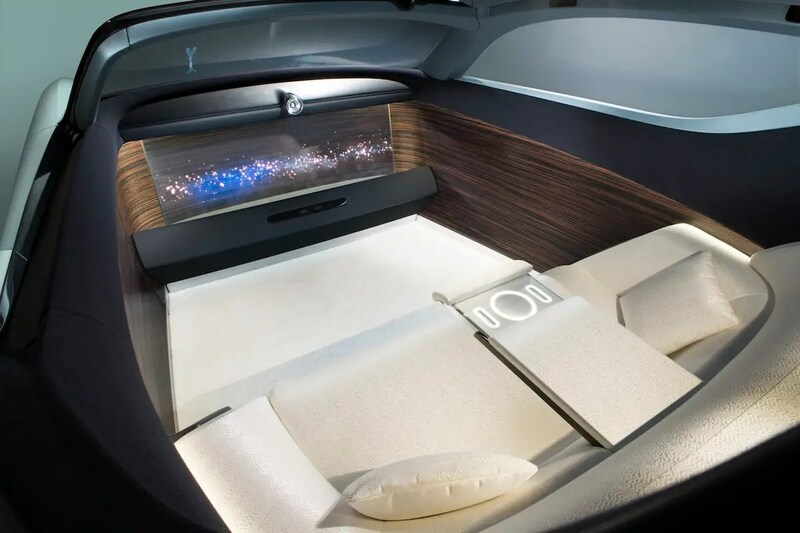 Because the car envisions a completely autonomous future, the interior is composed entirely of a two-person, silk sofa and a giant OLED TV. There’s also a secret compartment in the car for storing your luggage. 8. 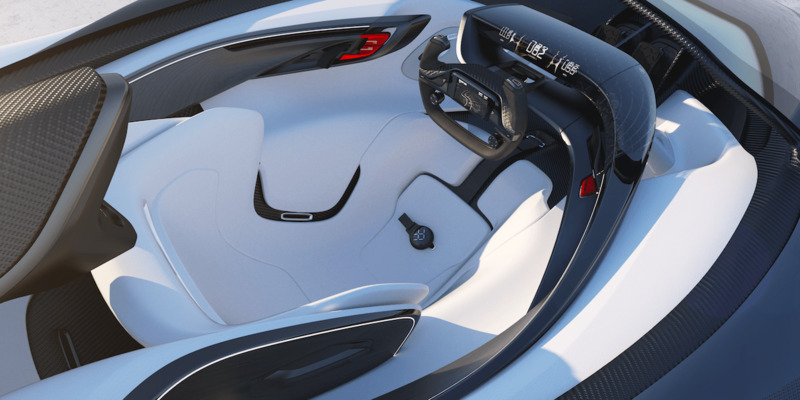 McLaren unveiled a stunning concept car called the 675LT JVCKENWOOD at the Consumer Electronics Show. The McLaren 675LT comes with a wireless networking system so it could communicate with other cars on the road about traffic and accidents. The car comes with a steering wheel that looks like a video game controller! The controller is meant to help the driver control the heads-up display while in motion. 9. 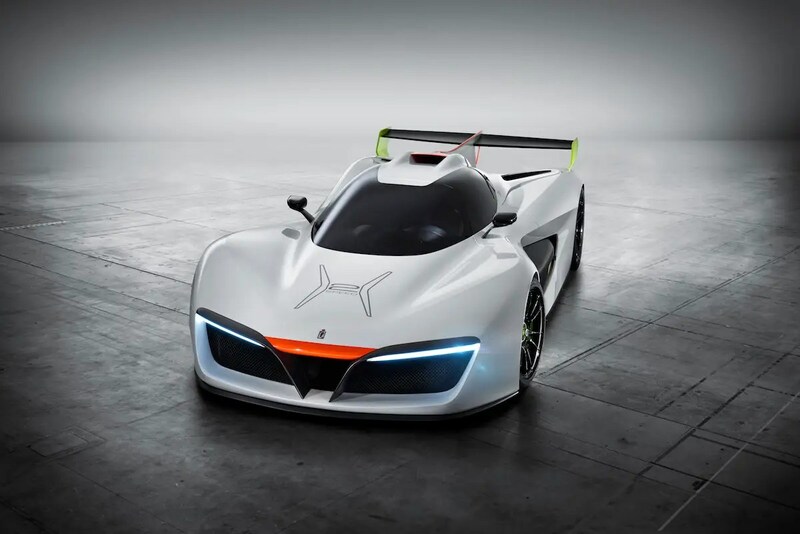 Italian automaker Pininfarina unveiled a beautiful hydrogen-powered concept car at the Geneva Motor Show. 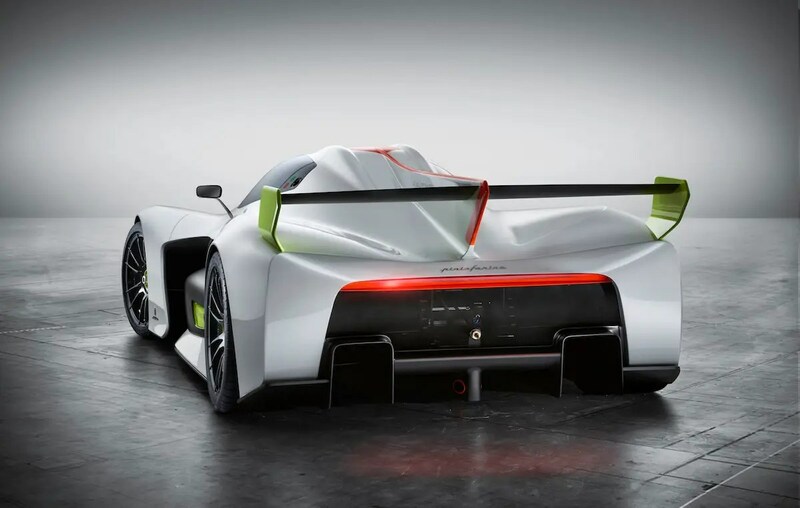 The car, called H2 Speed, refuels in just three minutes. 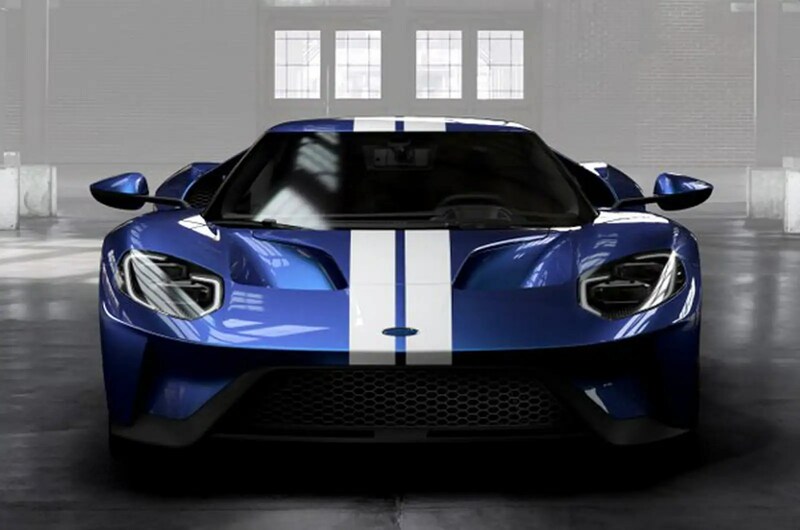 It has a top speed of 186 miles per hour and can go from zero to 62 miles per hour in 3.4 seconds. The car can regenerate energy from braking. 10. 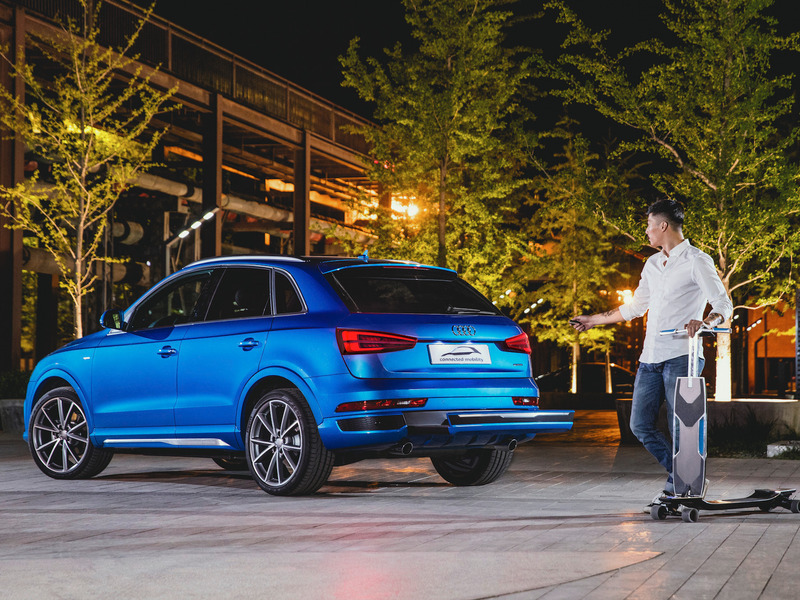 Audi unveiled its connected mobility concept car in April. There’s a longboard integrated in the bumper in case you want to roll from the parking lot to work. It conveniently pulls out when you need it and is stored in the bumper when you’d rather travel on foot! 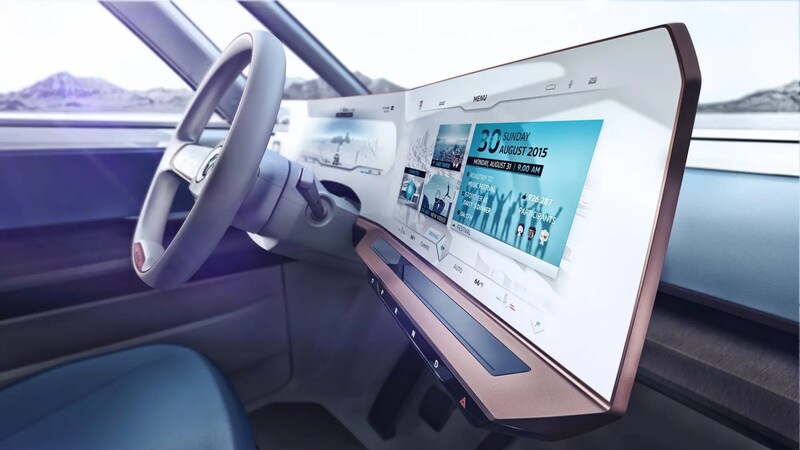 The car’s infotainment system can calculate the fastest route based on real-time data and will suggest using the longboard if that seems faster. It will even show you the best parking spot to make the longboard portion of your commute shorter. 11. 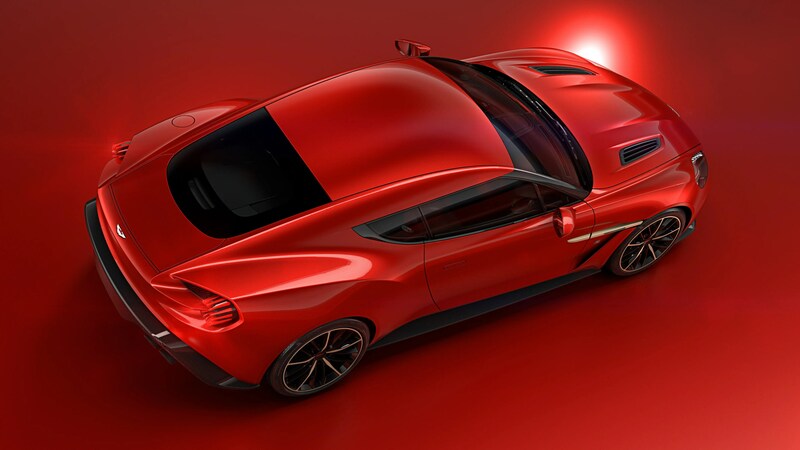 Aston Martin showed off a beautiful concept car in May called the Vanquish Zagato Concept. All of the body panels in the Vanquish Zagato are made of carbon fiber. 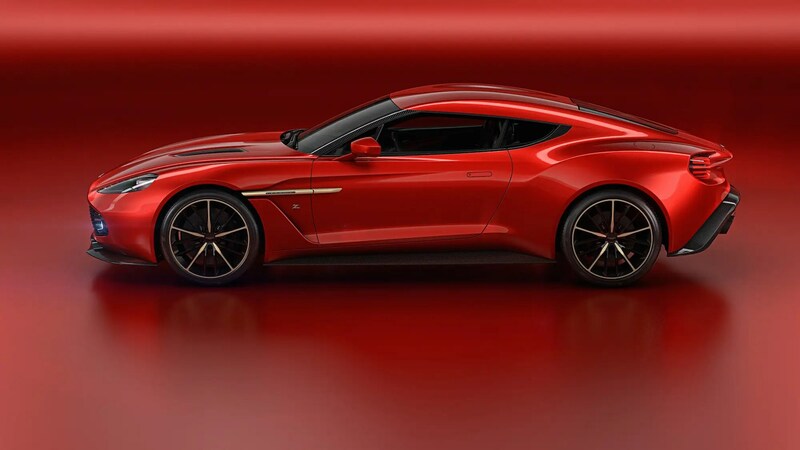 Aston Martin made the car with Italian auto design company Zagato. The two have worked together since 1960. There’s not too many details on this car since it’s just a concept, but it sure is pretty. 12. 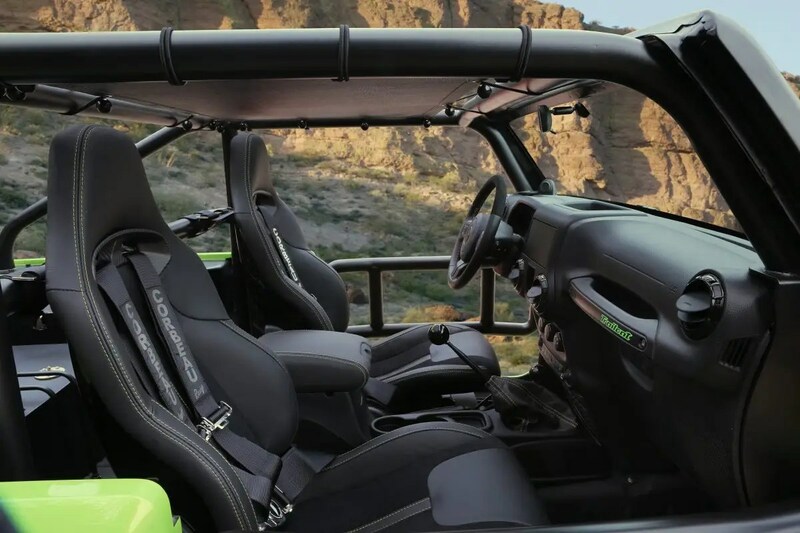 Jeep showed off a crazy looking wrangler in March at the Easter Jeep Safari, an off road rally. That is a monster car. 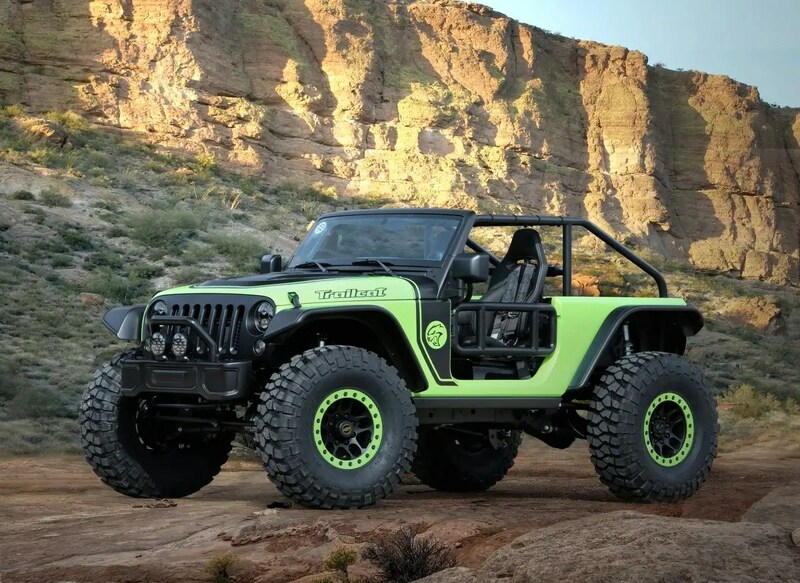 The Wrangler Trailcat concept had to be stretched to 12 inches to accommodate the massive engine providing 707 horsepower. 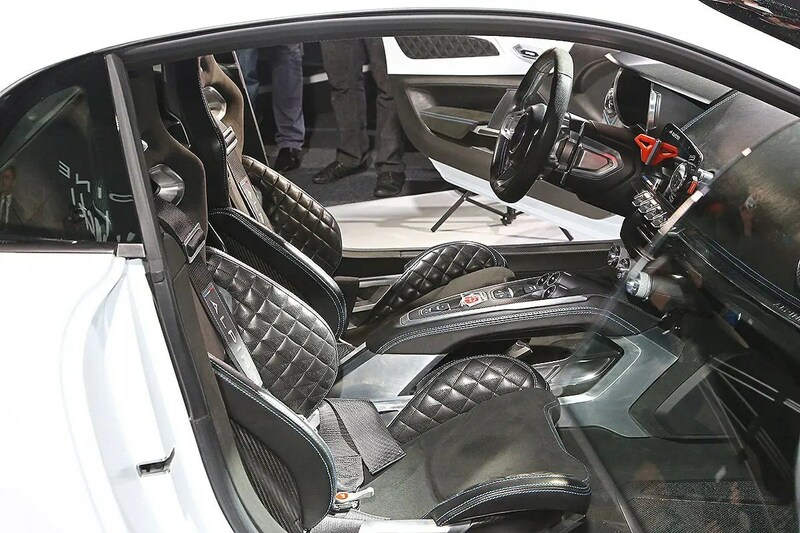 It comes with racing seats from a Dodge Viper. 13. 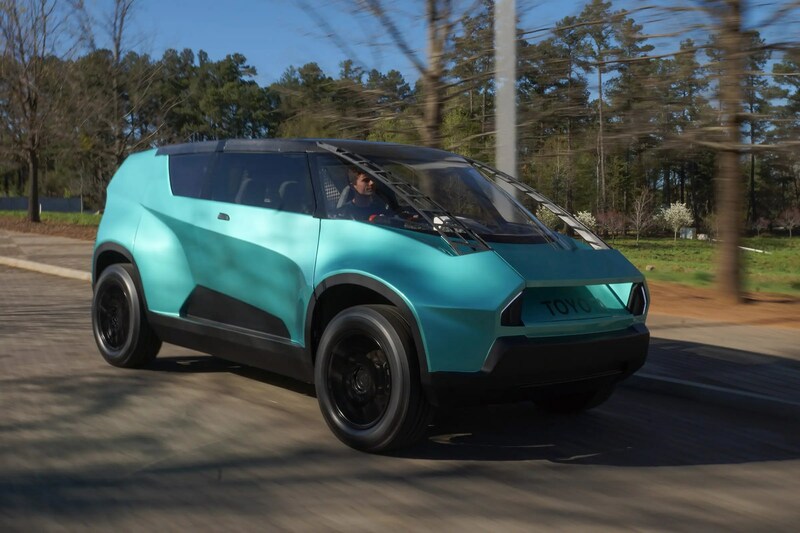 Toyota unveiled a strange-looking concept car dubbed the uBox to appeal to Generation Z in April. The interior is entirely customizable so it can transform into a mobile office or fit more people. It also comes with a nice curved glass roof that lets plenty of light inside. 14. 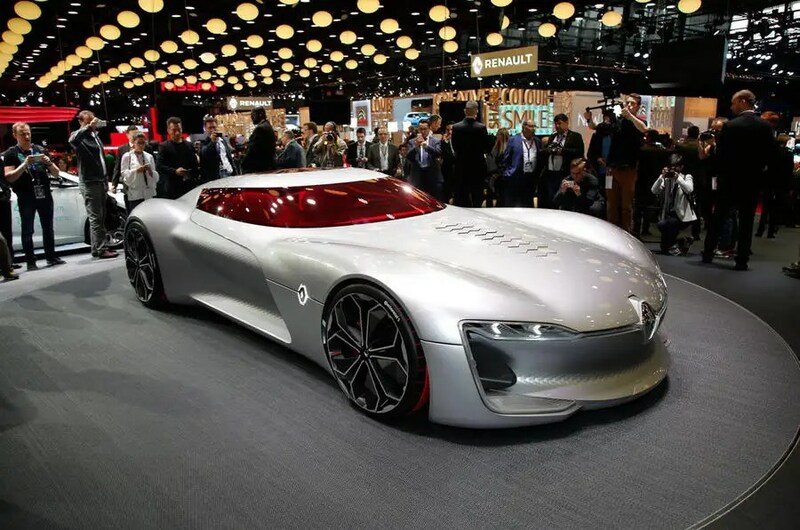 French automaker Renault showed off a stunning, high-tech sports car dubbed the Alpine Vision in February. 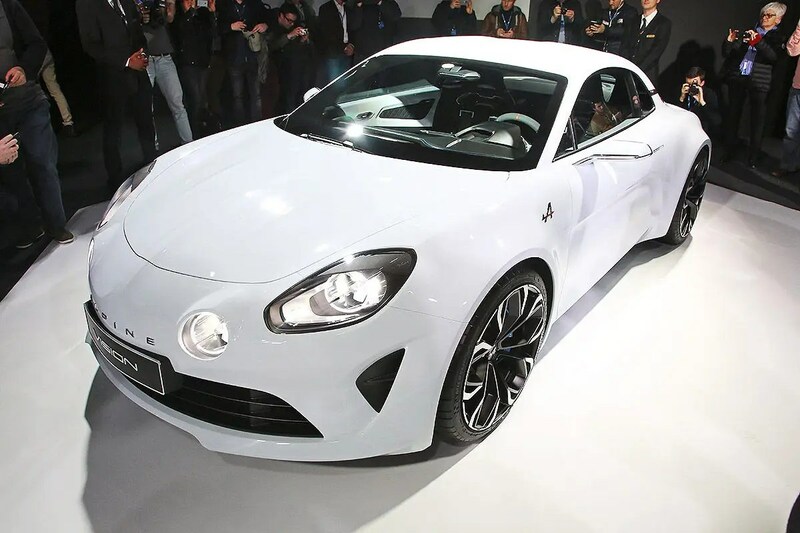 The Alpine Vision is a two-door, two-seater sports car. The interior is decked out with a LCD gauge cluster in the center console. 15. 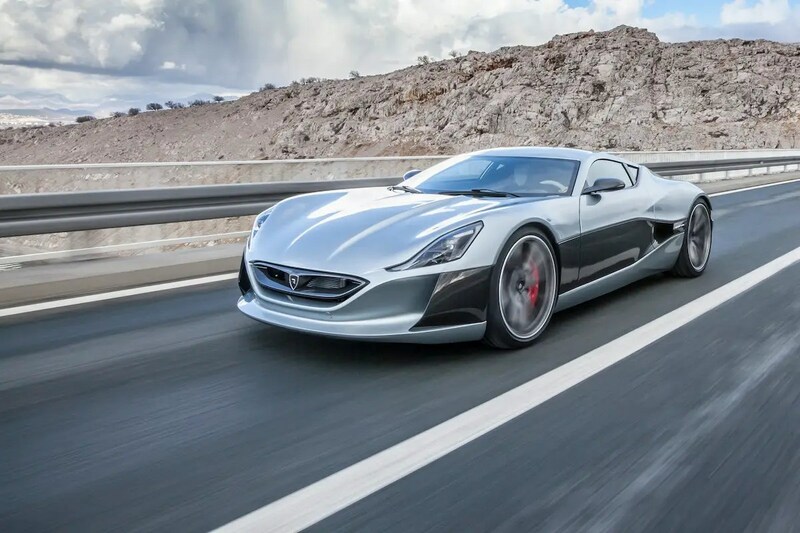 Lastly, Croatian automaker Rimac designed a stunning, all-electric concept car for the Geneva Motor Show. 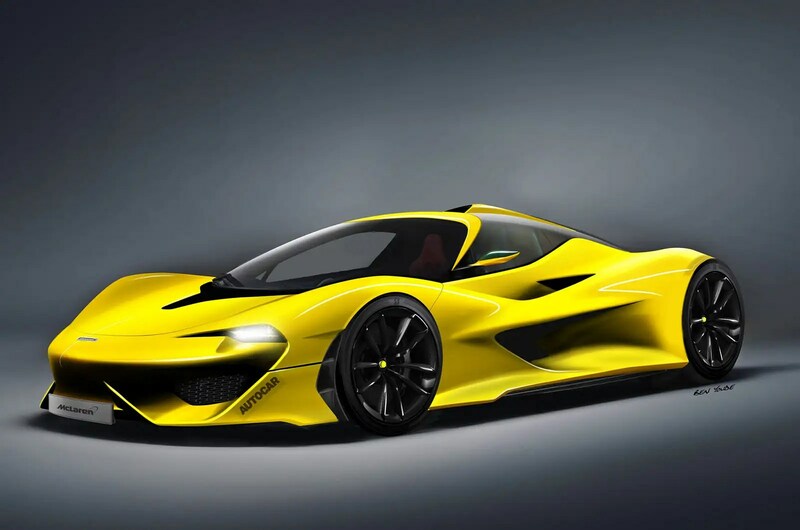 Called the Concept_One it can accelerate from zero to 62 miles per hour in just 2.6 seconds. 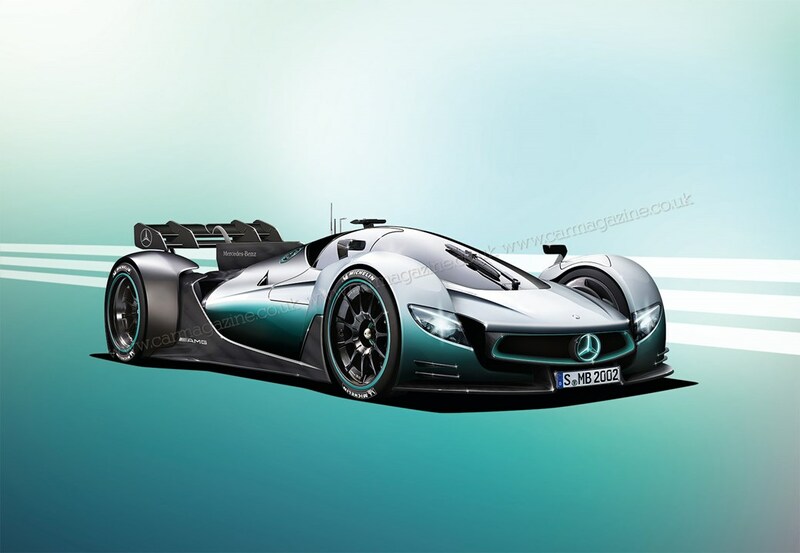 The Concept_One can reach a top speed of 185 miles per hour. It has a regenerative braking system that allows it to generate energy whenever it brakes. Dieser Eintrag wurde veröffentlicht in e-mobility, Einfachheit, Kreativität, Mobility und getaggt mit Aston Martin, Audi, BMW, Concept Cars, Faraday, Jeep, LeEco, Lincoln, McLaren, Mini, Pininfarina, Renault, Rimac, Tesla, Toyota am 4. Juli 2016 von innovation. Automakers have spent the majority of 2016 announcing their plans for self-driving and the future of automation, but while some just begin to prototype systems, others are soaring ahead of the pack. Research and advisory firm Lux Research has charted the 12 major automakers on business execution and technical value, and noted if the company has a positive or negative view on the advent of self-driving. Toyota, Honda, and Mercedes Benz are ahead right now, as you can see in the graph above. Tesla and BMW aren’t far behind, but the report claims that the two companies have a “wait and see” attitude to self-driving, rather than actively pushing for its arrival. The attitude is based on investments, partnerships, and demonstrated capability. Daimler Trucks and Hyundai are the other two automakers in the top right on technical value and business execution. 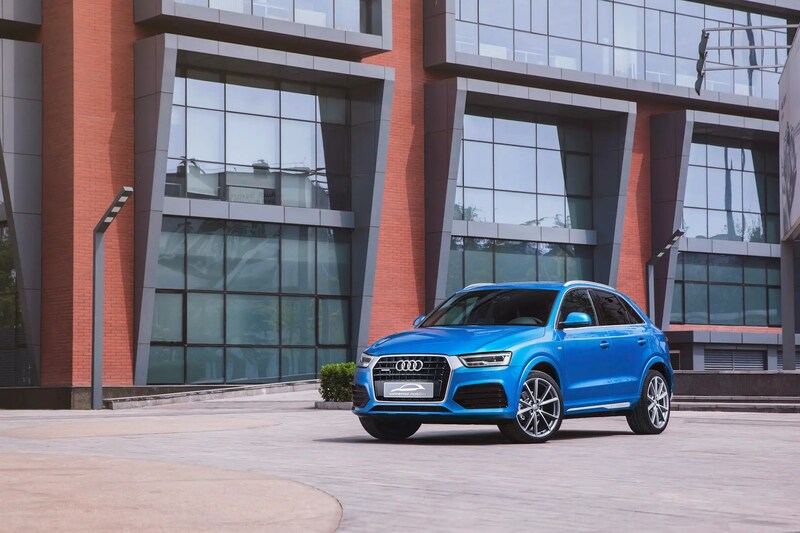 German automaker Audi has a decent technical value rating, but lacks the investment or business execution its German rivals BMW and Mercedes-Benz have achieved. The two major automakers in the U.S.—General Motors and Ford—have similarly poor outlooks. 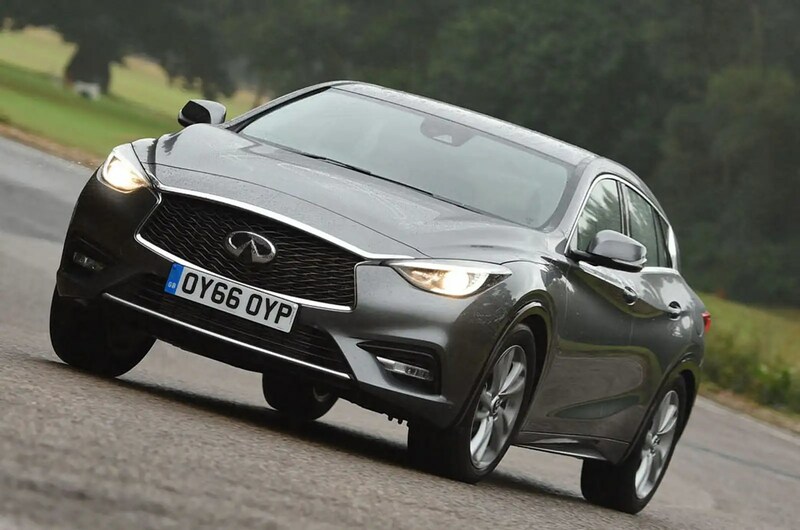 The two companies are lower than all European rivals on technical value and business execution, apart from Renault-Nissan, which is far behind the group. General Motors has started spending heavily in the self-driving market, investing $500 million in a partnership with ridesharing app Lyft and purchasing Cruise Automation for $1 billion in March. Ford, on the other hand, may be looking to partner with Google to fix some of its self-driving shortcomings. See Also: Can taxi drivers still have a place in a driverless world? The PSA Group and Fiat Chrysler are both not on graph, despite both working on self-driving or partnering with tech companies. 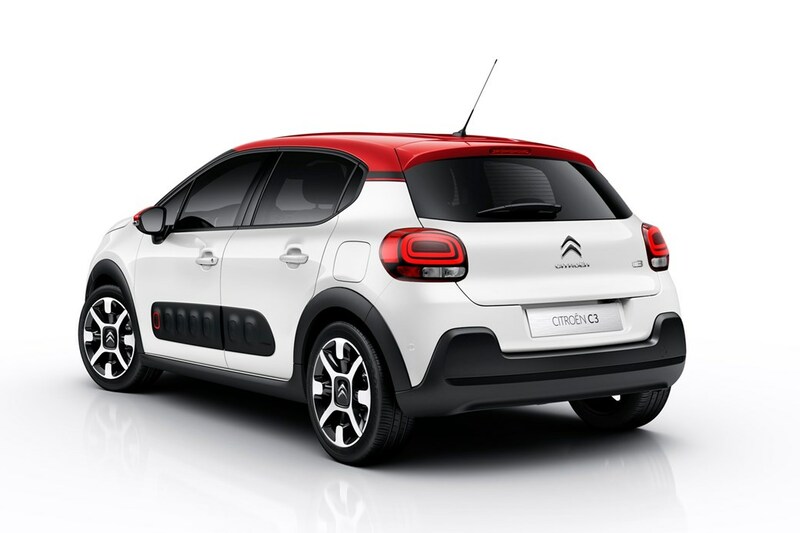 PSA Group, which controls Peugeot and Citroen, is currently the only firm allowed to test self-driving cars in France. Fiat Chrysler recentlypartnered with Google, providing them with 100 vans, and may have plans to create similar partnerships with Uber and Amazon. While it is worrying to see companies like Renault-Nissan and Audi not invest in self-driving as much as rivals, we are still three years away from any concrete legislation that allows driverless cars on the road. That is enough time for any automaker to change their attitude towards self-driving. Dieser Eintrag wurde veröffentlicht in e-mobility und getaggt mit Audi, BMW, daimler, lyft, Uber, Volkswagen AG am 23. Juni 2016 von innovation.